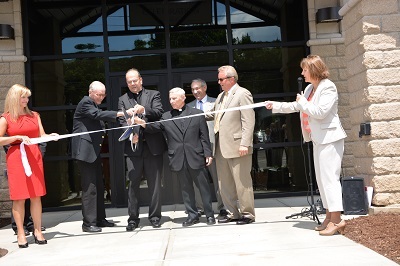 Welcome to Catholic Charities of Broome County! Click here to see how Catholic Charities has been Creating Hope and Transforming Lives for the past 80 years. We exist to raise awareness for our cause and bring change to the lives of those we serve in Broome County. With your help we can make a difference. Our website furthers our mission by providing ways for you to learn more and get involved. Thanks for visiting. Your support is appreciated. Effective July 1st, 2018, Medicaid Service Coordination transitioned to Health Home Care Management. Catholic Charities has aligned with Prime Care Coordination, a designated Care Coordination Organization in our region, which will be able to provide the best possible service. We are happy to help you connect with Prime Care, and can provide you with more information regarding Care Coordination. We have worked closely with Prime Care to ensure all of your needs will be met, and we encourage you to reach out to the Prime Care team if you have any additional questions. Click here for more information on Prime Care Coordination. Catholic Charities is pleased to announce our newest initiative to help people move out of poverty. Through conversion of our Binghamton pantry into a Community Empowerment Center (CEC), we will enhance our Economic Independence Program by adding Community Mentors. This is part of the recent Governor’s initiative to relieve poverty in 16 communities across our state. Two part-time mentors will be offering guidance and encouragement to participants based on their own lived experiences with overcoming the challenges of poverty. Mentors will offer extra support when helping patrons determine the underlying reason they are facing food insecurities. Mentors can uniquely understand the barriers and hardships of poverty to help others improve their financial stability. They can help support individuals to follow through on suggestions and referrals to additional services. Mentors can encourage patrons to attend healthy cooking demonstrations and educational programming classes on budgeting, opening checking/savings accounts, and educational mini-sessions for additional financial supports, all offered at our CEC. For more information, please call Sandra Ohlsen at 607-584-7800 or 607-729-9166. Catholic Charities is proud to present our 2017 Annual Report. In 2017, Catholic Charities celebrated our 80th anniversary of serving those in need in Broome County. As we continue our tradtion of supporting the most vulnerable in our community, we present to you a report on the progress we made in 2017 through new and innovative programs, renewal of existing programs and continued growth in building a community of support for the mission of the Agency. Our staff, Diocesan leadership, board of directors, volunteers, supporters and donors make it possible to serve over 50,000 people each year. At Catholic Charities we welcome all those who turn to us for help and are inspired by the accomplishments of the people that we are privileged to serve.